(TibetanReview.net, Oct12, 2018) – In what is seen as a sudden development, the two 17th Karmapa reincarnate claimants put forward by rival regents designated for the recognition of the reincarnation of the 16th Karmapa have met at an undisclosed location in rural France over four days and issued a joint statement dated Oct 11. The statement does not resolve anything but addresses a decades-old rift in the Karma Kagyu lineage of Tibetan Buddhism resulting from the reincarnation issue. 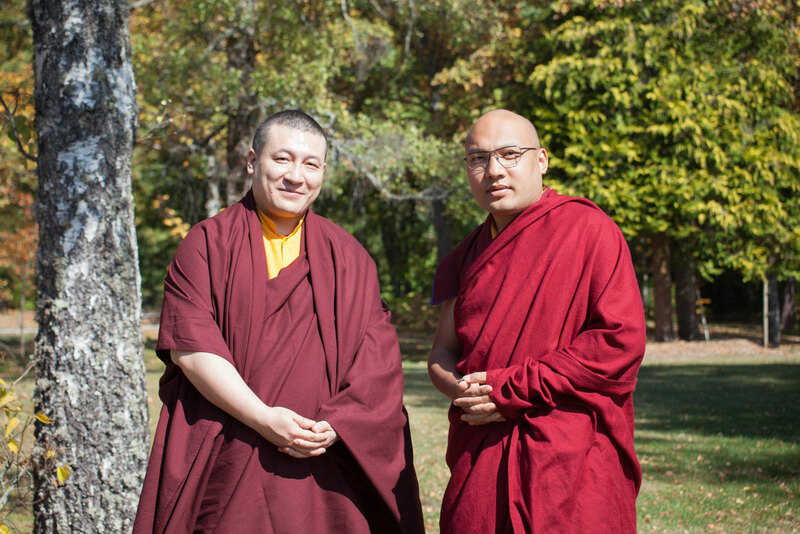 The two sides have resolved to work together to preserve and strengthen the Karma Kagyu lineage of Tibetan Buddhism. The majority of Tibetan Buddhists recognize Ogyen Trinley Dorje, born in eastern Tibet in 1985 and endorsed by Tibet’s exiled spiritual leader, the Dalai Lama, as the reincarnation of the 16th Karmapa Rangjung Rigpe Dorje. An influential minority recognizes Trinley Thaye Dorje who was put forward by regent Shamar Rinpoche. Trinley Thaye Dorje, born in central Tibet in 1983, has since married and is a father but has made clear his intention to continue to discharge the role of the Karmapa. The Karma Kagyu is the largest of the four major Kagyu lineages, one of the four major schools of Tibetan Buddhism. The Karmapas have historically been based at Tsurphu Monastery in the outskirts of Tibet’s capital Lhasa from where Ogyen Trinley Dorje fled the Chinese rule in late Dec 1999. The 16th Karmapa rebuilt Rumtek Monastery after he fled Chinese occupied Tibet in 1959 on an invitation from the king of the then independent Buddhist Kingdom of Sikkim. Rumtek currently remains off-limit for both the claimants due to an ongoing court case, although the state has been lobbying New Delhi to enable Ogyen Trinley Dorje to ascend the throne at the earliest. The joint statement was released simultaneously on the official websites of both the lamas. It does not resolve anything but indicates a common intention to work amicably to establish a personal relationship of cooperation and strong connection in order to strengthen the Karma Kagyu lineage.